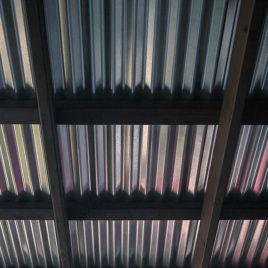 One of my first and most popular sounds: rain on a metal (tin) roof. 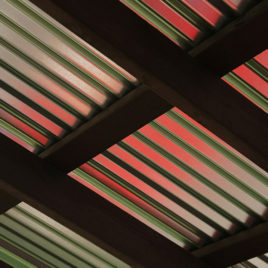 The sound features the classic sound of rain falling on a tin corrugated roof. The metal roof you see in the picture is the actual metal roof you are hearing! Preview the sound in the description below. Get ready for an epic thunderstorm. 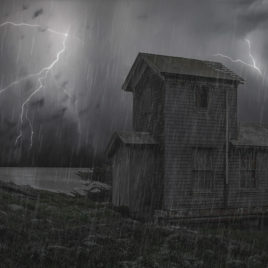 This soothing sound features a huge thunderstorm and rain. If you are a lover of thunder, you want want to have a listen to this great sound. Preview the entire sound in the description below. 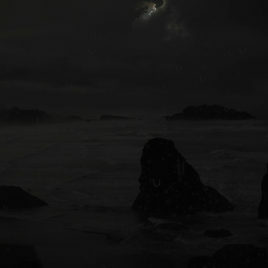 This fantastic sound features an ocean cliff-side seat to a nice rainstorm. There is a little bit of occasional thunder in the distance, but nothing too loud or startling. Have a listen below and see what you think. Preview the entire sound in the description below. 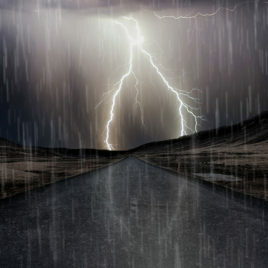 This popular sound features some fantastic rain and thunder at night. 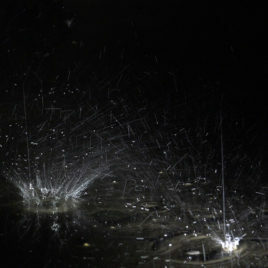 Enjoy the drops hitting the sidewalk as you drift off to sleep with the great thunderstorm in the background. Preview the entire sound in the description below. This sound is one of my most popular sounds. 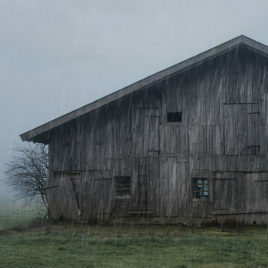 It features the sound of rain and distant thunder from inside of a leaky barn. No farm animals were hurt during the recording of this sound. In fact, it is totally animal-free. You can enjoy just the relaxing rain and thunder sounds. Bring back any memories? Preview the entire sound in the description below. Enjoy the "no thunder" edition of this popular sound. 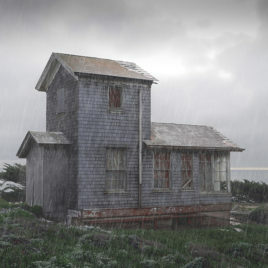 It features the amazing sound of rain falling on a leaky barn. Some many people loved the rain sound, but don't like thunder, I went through and took out all the thunder bits. I hope you like it. I left in the occasional cow sound. Such a nice cow... Preview the entire sound in the description below. 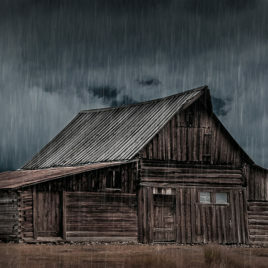 Here is the thunder version of my most popular recording: Hard rain on a metal roof. This fantastic recording features some excellent thunder and storm sounds to whisk you off to sleep. I hope you enjoy this one as much as I do. Preview the entire sound in the description below. 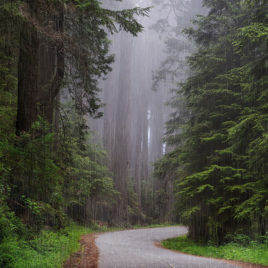 Have a walk through the redwoods and enjoy some great rain and thunder. It is hard to beat a nice stroll through the forest. Especially when it looks as nice as a redwood forest. Maybe take a nice bike ride down the winding road? Preview the entire sound in the description below. This popular sound features the sound of a seaside storm with some great rain and wind. The constant roar of the ocean can be heard in the distance. Enjoy the sound of the rain hitting the windows and curl up with a good book. Did you catch the foghorn in the distance? Preview the entire sound in the description below. This awesome sound features the thundery version of the popular seaside storm sound. Kick back and enjoy some serious rumble from an amazing seaside storm with a bit of rain on the windows, rain on the roof, distant ocean waves, and a bit of wind blowing by. Preview the entire sound in the description below. Enjoy another awesome seaside storm from the safely of your nice overlook. This sound features some nice rain and thunderstorm sounds. Preview the entire sound in the description below. 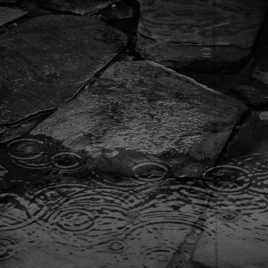 This sound features some remastered vintage rain and thunder. I actually recorded and filmed this back in the late 1800's and thought I would digitize and remaster it for you to enjoy. Rain was so nice back then. I hope you like it. Preview the entire sound in the description below.